New conversionon built into a premium quality pre-owned high spec Limited Transit Custom. 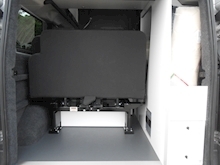 Single heated drivers seat, double swivel passenger seat. Double rear travel seat / bed with intelligent easy open system to create a generous double berth which uniquely reclines in multiple positions. 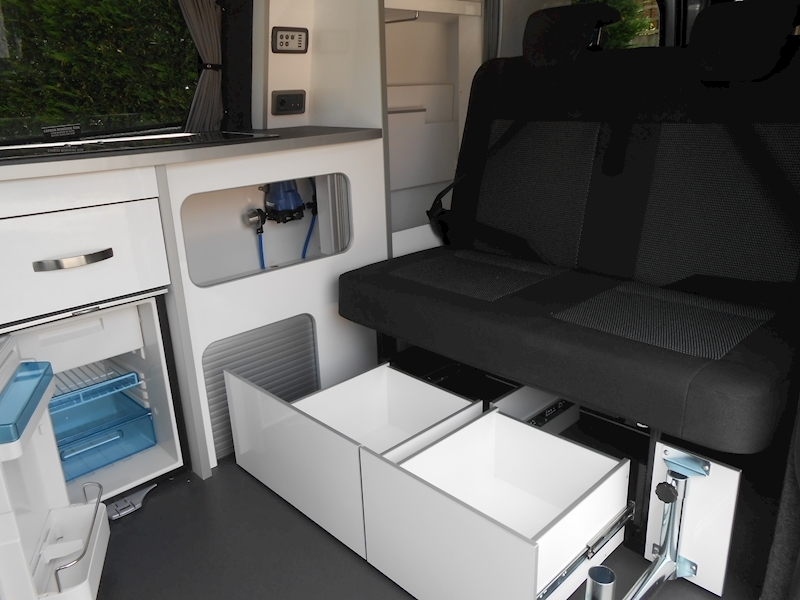 The beds rear leaf can be left horizontal as a parcel shelf, folded vertically for maximum storage or set at multiple angles to create a comfortable day bed. Windows include RH 2nd row side window with slide opening, Passenger side 2nd row fixed window, cab silver screens and black out curtains. Combination double hob & sink complete with glass lids & tap. Sergeant electrical system, 115amp hour leisure battery. 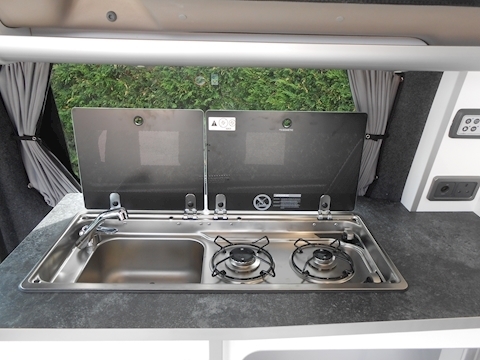 1 x 12 volt & 2 x 240 volt sockets. Bespoke high pressure laminate furniture in gloss white with edge banded nylon edges. Carpet lined habitation area including side & rear doors in anthracite. 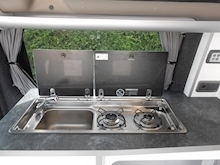 Reimo front lifting elevating roof with front window & side screens. Roof bed, solar panel, 3rd row window, bike rack, single passenger seat, Driver's swivel seat, Electric habitation step, 2.6mtr Awning, Diesel heating. 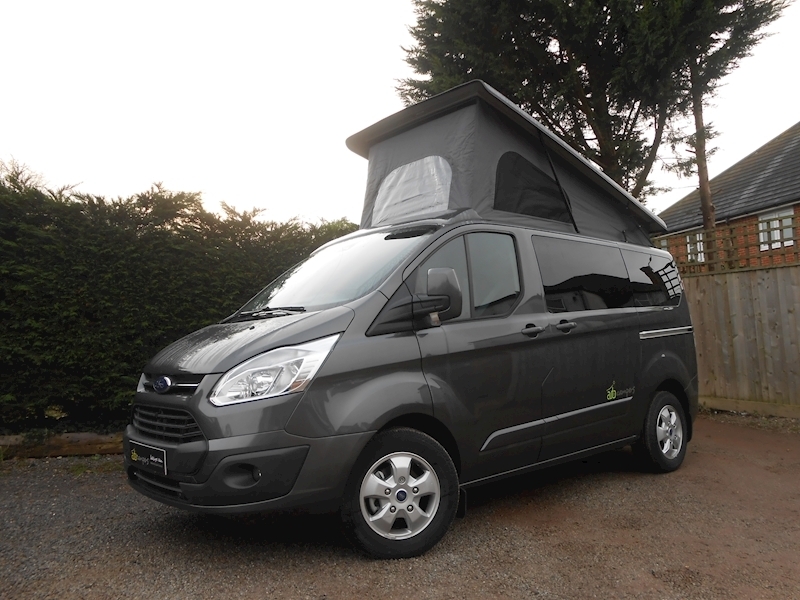 Balance of manufacturers 3 Years Ford warranty, 1 year’s Auto Camper warranty, 1 years appliance warranty. 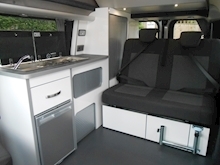 The New Transit Custom offers a real alternative to a VW, New kinetic design combined with MPV aesthetics are a winning formula for a camper, then add best fuel economy in class and throw car like ergonomics into the mix and you start to win your heart and the head. Compact enough to use as an everyday vehicle and very, very affordable! 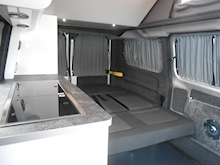 Auto Campers primarily offer new completed award winning Campers, the only exception to new campers is a new Classic pop top conversions converted into a quality 1-2 year old Transit 130ps Custom limited, choice of base vehicle colours, milages under 20,000 choice of furniture colour. 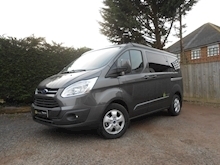 pre owned stock constantly changing, typical delivery 2-6 weeks, please contact, to check availability of future builds.